Recently we modified the personal homepage by making the sidebar more useful, providing faster access to your bags and easier exploration of the bagging community. Now when you sign into our site, you will see a Quick-bagging box above the bagstream where you see upcoming bags from people you follow. 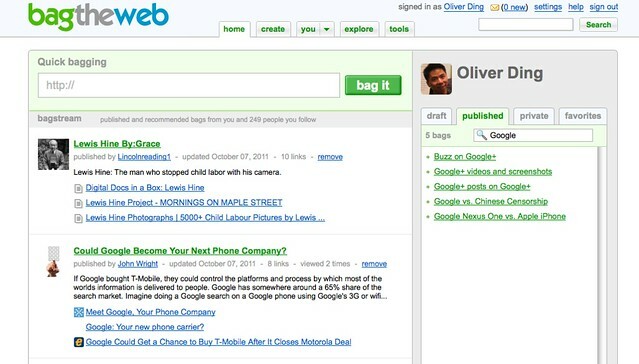 Just paste a URL in the Quick-bagging box, click the “bag it” button. The Quick-access box displays four bag lists. 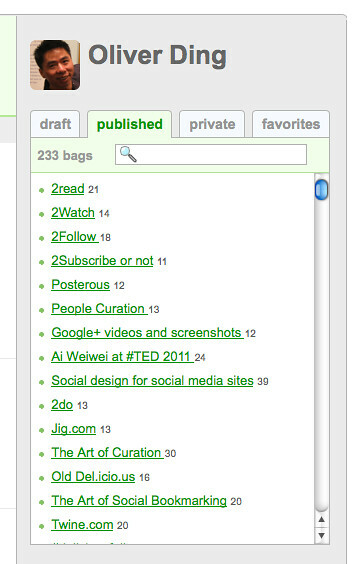 Draft bags list is default displayed. 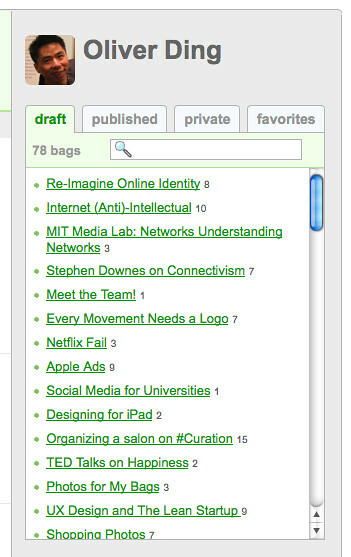 You can switch between Draft, Published, Private, and Favorites by clicking on the four tabs. 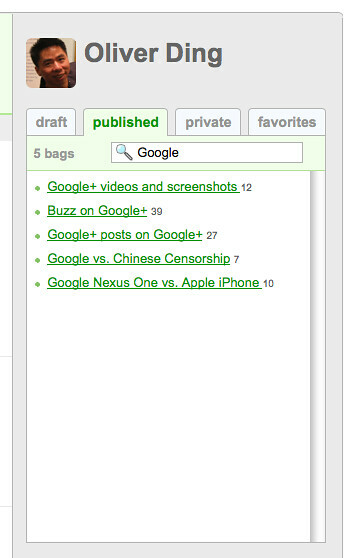 All bags are listed in the order of the most recent activity. The number of links within a bag is behind the bag title. You can search and find your bags. 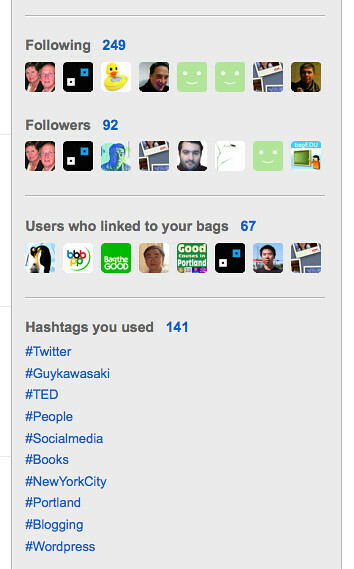 Following, followers and users who linked to your bags are displayed in the middle. Under the contacts part, we display ten hashtags you used most.